In a continuous flow system, a chemical reaction is carried out with a continuous supply of substrate and reagents. The basic principle of a continuous flow system is shown schematically in the figure below. In this commonly used setup, two flows (denoted as Flow A and Flow B) are pumped into a microreactor. 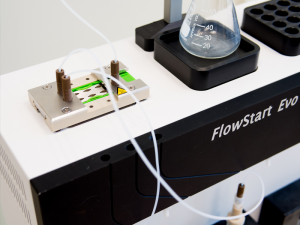 FutureChemistry’s microreactors are small continuous flow reactors made from glass, combining excellent mixing and channels for reaction with excellent temperature control. After being mixed, the solutions will start reacting. 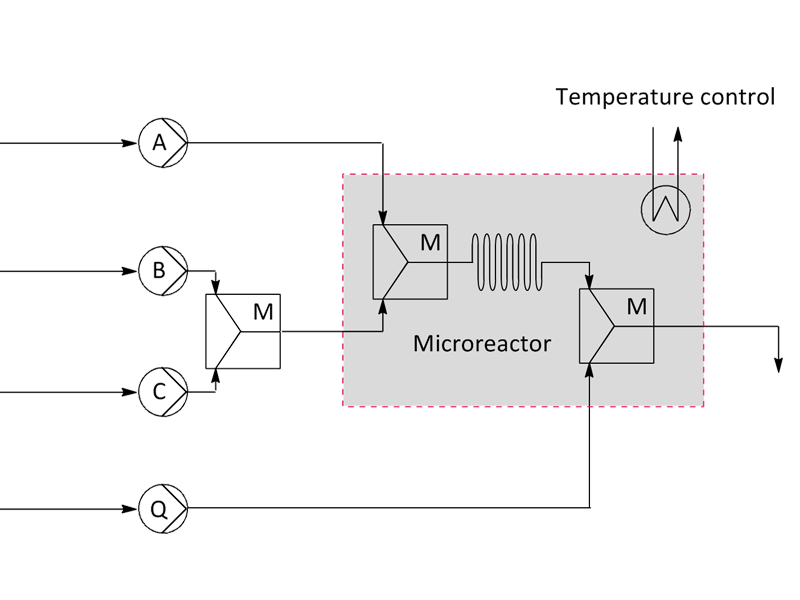 When the combined flow reaches the end of the microreactor, a third flow is introduced to stop the reaction. This is called the quenching flow, and is denoted as Flow Q. 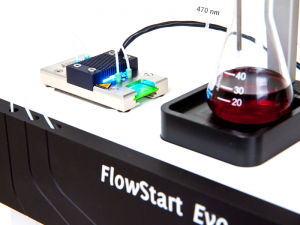 In the setup shown above, all three flow rates are adjustable, as well as the temperature of the microreactor. 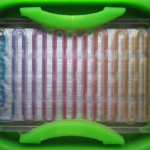 By varying flow rates, it is possible to adjust the reaction time and the molar ratio between substrate and reagent. The reaction temperature is adjusted separately by a temperature controller. In the chemical industry, new chemical or pharmaceutical development is a time-consuming, expensive and labour-intensive process. This results in a high environmental load and a long time-to-market. Hence, the chemical industry is increasingly demanding faster process development and more efficient production methods. In general, new chemicals are developed using traditional batch processing, which fully relies on versatile and qualified equipment to perform different unit operations. Scaling up these unit operations requires chemical engineering calculations as well as experimental results gained during lab-scale prototyping. The process of scaling up involves multiple steps through which the production volume is increased in every step. During this process, the translation from a laboratory to a production environment is particularly difficult. 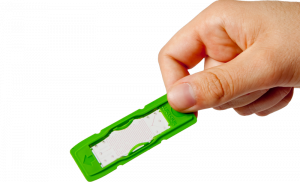 The use of microreactor technology can speed up the development and scaling up a process in a more efficient way. Microreactors are devices that operate with a continuous flow and that allow for strict control of reaction parameters, facilitating reactions which are otherwise too reactive, exothermic or hazardous for conventional use. The interior of the microreactor is divided into small compartments with large surface-to-volume ratio, enabling excellent mass and heat transfer. These benefits are convincing both researchers in academia and industry to introduce microreactor technology into their own laboratories. 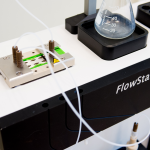 FutureChemistry has developed and designed the essential hardware and software for microreactors, and offers a wide variety of flow chemistry instruments that let you exploit the great potentials of this new technology.